Get off the beaten track this summer. Melbourne’s pretty famous for its laneways – hell, we ranked each and every one of them – but quiet achiever Sydney has also garnered a pretty sweet street art scene over the past decade, and Culture Scouts are here to show you where to find the best of the best. A brand new initiative set up by the guys behind Art Pharmacy, Culture Scouts’ main goal is to take bidding art lovers right into the heart of where the locals explore. Forget the Opera House, the Bridge and The Rocks – this won’t be your typical Sydney walking tour. 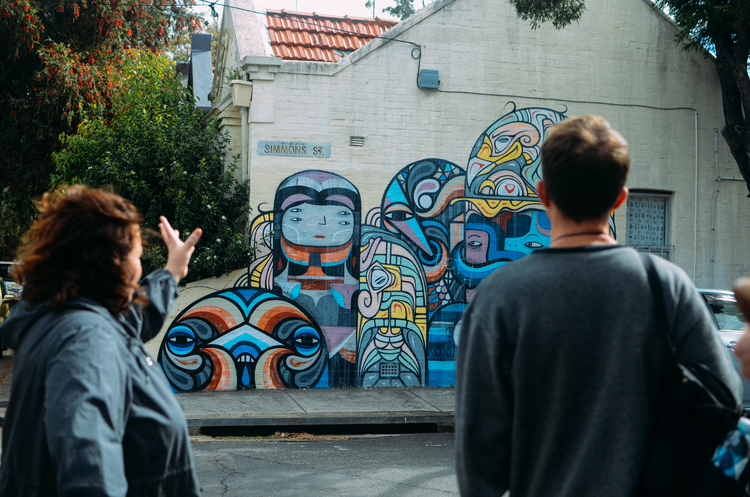 Culture Scouts’ walking tours will you take you off the beaten paths to experience Sydney’s super cool creative side – anything from street art to craft beer, hidden galleries to excellent little coffee spots. Run by author and art lover Melinda Vassalo, Culture Scouts is the best antidote to an age-old conundrum – where to take your best mate when they come for a visit in Sydney? Well consider your itinerary sorted. All you have to do now is pick a tour! An artsy tour of Newtown runs Tuesdays and Saturdays, and the Chippendale/Redfern tour runs monthly. Check out more from Culture Scouts here. Your next trip to Sydney is sorted – check out Qantas flights here.